What if body cleansing was easy? Here is a quick and easy recipe you can try and apply right away! You will need some grated ginger, 1 tsp. turmeric, some fresh mint leaves, and 500 ml (~17 o.z.) pure water. Bring the water to boil and add all ingredients. Stir for about 5 min, take the mixture off the heat, and strain. You can put some honey for sweetness, but you will have to wait until the liquid cools down to body temperature. - NEW! Healthy recipes with white sugar and white flour alternatives! - NEW! Plenty of toning, refreshing, and cleansing smoothie recipes! - NEW! Detoxing and strengthening aromatic herbal blends! 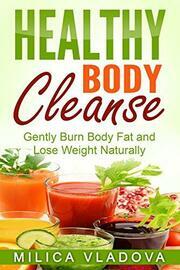 "Healthy Body Cleanse" will walk you through your first steps into cleansing and detoxing. We constantly accumulate toxins and organic waste due to our busy lifestyles and polluted environment. This usually results in unpleasant symptoms like chronic fatigue, sluggishness, and lack of vitality and energy; it may even cause some serious diseases and pains. But what happens when we try to get rid of these harmful agents ASAP? When we jump into deep cleansing right away, we usually experience lots of unpleasant detox symptoms - from severe headaches, to nausea, dizziness, and many more. We may get discouraged or even switch back to our unhealthy lifestyle. I am sure you are well acquainted with the yo-yo effect. So, how to prevent this from happening? First of all we need to establish daily healthy body cleanse habits, which will slowly and incrementally build the necessary momentum. When we gradually work towards healthier and cleaner life, we won't experience those extremely negative symptoms, or they won't be so harsh. That is how you can burn body fat naturally, and achieve a healthier, more vibrant, and slimmer body without putting too much stress on your body and mind. My intention is for you to find all the information and motivation to start your health journey today! If you are looking for sustainable weight loss results, a good diet plan that will help you burn body fat gently, reduce belly fat on a continuous basis by ingraining small daily healthy detox habits, then "Healthy Body Cleanse: Gently Burn Body Fat and Lose Weight Naturally" is the book for you. And when you are ready, you can go deeper into the subject with specific detox rituals, which can be applied on a weekly, monthly, or annual basis. They will be the topic of my next book. If you wish to be in the loop and find out when it will be published, or to receive more free valuable information from my blog, go to mindbodyandspiritwellbeing.com and subscribe to the newsletter. By purchasing this book you get a special bonus! See instructions inside the book!